If the Volkswagen New Beetle is a smile on wheels, then the Beetle Convertible is an ear-to-ear grin, looking at once more whimsical, and more like its vintage ancestor, than the Beetle hardtop. Both are back for 2004, with new safety features, new colors, and new options. Plus, an even more modern and efficient diesel engine is available for the coupe. The New Beetle isn't just smart and stylish. Because it's a Volkswagen, it is refined. It combines German engineering and performance with exceptional fit and finish, and it represents a good value. As in other retro-mobiles, however, driver and passengers must make some concessions for style. Interior ergonomics are not as good those in a more traditional car, such as VW's own Golf. Nor is there a lot of trunk space. Furthermore, the New Beetle no longer enjoys exclusive status in the retro-car market, now that the Chrysler PT Cruiser, Mini Cooper, Ford Thunderbird, Mustang and other retrospective designs are stealing headlines. And when the PT Cruiser convertible arrives early in 2004, followed by the Mini convertible, the New Beetle won't even be the only low-priced retro to offer open-top motoring. Still, the New Beetle does offer a good measure of distinctive charm. And once you drop the top, the New Beetle convertible is good fun. It's also tight. Volkswagen has engineered a winning chassis with none of the cowl shake common on most convertibles. The standard Beetle is still cool. It comes in an assortment of bright, happy colors. Its exterior and interior design details are fun and creative. It now offers OnStar telematics as an option. On the road, the Beetle is smooth and sophisticated and handles well. It's considered a safe car. 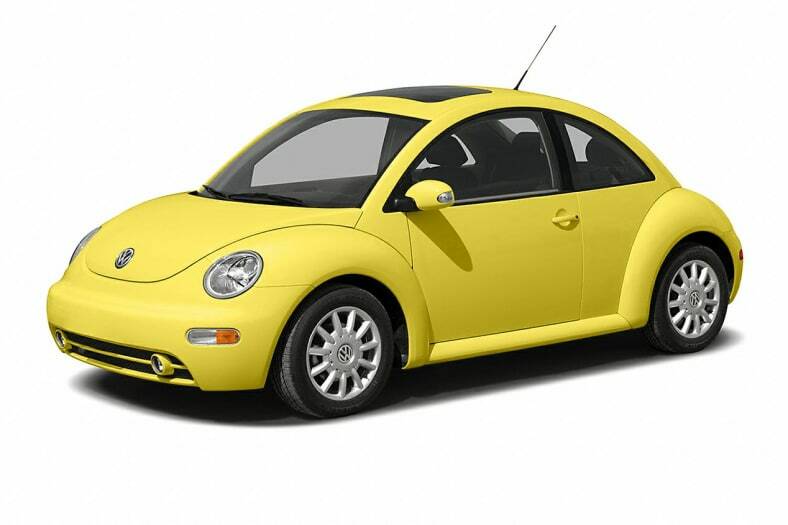 Beetle earned top scores in the federal government's crash tests and comes with Volkswagen's excellent safety features. Just don't expect to see people looking, smiling and waving at you every time you come around a corner as much as they did when the New Beetle first hit the streets. After all, the Beetle is now a familiar face in America.